Join us at Mitchel’s Bay on Saturday, September 29th from 10 am to 4 pm for a 5K walk on the North Lakeshore Trail….bike or run or whatever you choose to help support CK Animal Rescue. Enjoy the fall colours and the lake as you walk the beautiful trail and learn some history along the way. There will be many fun activities for the whole family to enjoy, such as Pumpkin Ring Toss, Pumpkin Face Painting (prize for the spookiest pumpkin face!) and a few more old fashioned fun activities! A scavenger hunt will also be available for anyone who enjoys solving a mystery! We have invited vendors to join us for the day where visitors can enjoy seeing a variety of products. Anyone who collects over $100 in sponsorship will receive a free t shirt. So please join us and get moving for our 4 pawed friends! 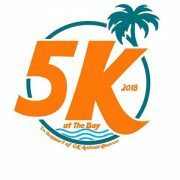 Do you know someone who is partisipating in 5K At The Bay? Show your support and give to a great cause by sponsering them today.